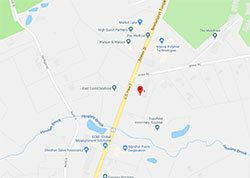 If you have suffered a serious injury in a Massachusetts bicycle accident, you have come to the right place to get useful information about your case. The risk of sustaining a serious injury is far greater than other motor vehicle accidents if you are involved in a bicycle accident. In addition to the general rules of the road, Massachusetts has safety rules that apply to motorists designed to help prevent bicycle accidents. A motorist must slow down when passing a bicycle traveling in the same direction in the travel lane and may not return to the right until after the vehicle has safely passed the bicycle. If the bicyclist may not be passed safely, the motorist must wait. When passing a bicycle, a motorist may not turn right unless at a safe distance from the bicyclist and if the motorist can make the turn at a reasonable and proper speed. When turning left, a motorist must yield the right of way to a vehicle approaching from the opposite direction, including a bicycle. A motorist must watch for bikers riding to the right of motor vehicle traffic and check for approaching bicyclists before opening a car door. By statute, it is not a defense for a motorist causing an accident with a bicycle that the bicycle was to the right of traffic. A driver must slow down when approaching a bike. Bicyclists have the right to use all public ways in Massachusetts except limited access or express state highways where signs specifically prohibit bicycles. When riding on public ways, bicyclists must observe the same basic traffic laws and regulations that apply to motor vehicle operators, such as riding in the same direction as vehicles and obeying traffic lights and right-of-way laws. A bicyclist can ride on sidewalks outside of business districts for safety unless banned locally, and if on the sidewalk, a bicyclist must yield to pedestrians and give an audible signal before overtaking and passing (no sirens or whistles). A bicyclist can keep to the right when passing a motor vehicle moving in the travel lane. A bicyclist under 16 years old must wear a bicycle helmet approved by the U.S. If you were injured in a bicycle and car accident, you may be able to pursue several different types of car accident claims including a Bodily Injury claim (BI), a PIP claim, and Uninsured claim (UM), or an Underinsured claim (UIM). A Personal Injury Protection claim (PIP) is available to pay for medical bills and lost wages even if you were responsible for the accident. Your attorney will deal with the insurance companies. Your case will be thoroughly researched and investigated. Your attorney will obtain documents evidencing the nature and extent of your injuries such as medical records, bills, and any lost wages. The attorney will evaluate your claim and negotiate with the insurer. If necessary, your attorney will file a lawsuit and go to Trial. Your attorney will keep you informed. You will have the benefit of a free consultation from an experienced car accident attorney. The attorney will process your PIP claim, usually for no additional fee. Your attorney receives no fee unless you receive compensation for your claim. However, there are other rules of the road in effect, the purpose of which is to protect all of us from careless motorists. Some of these include keeping a proper lookout at all times, giving yourself enough space to stop safely if someone comes in your path, care in starting and stopping, giving a warning by sounding your horn when necessary, not speeding, and obeying all official street markings such as crosswalks. 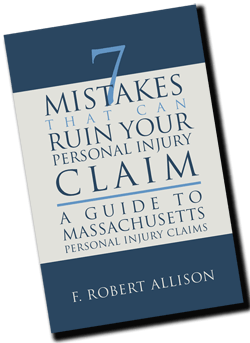 If you were injured in a bicycle accident, contact Attorney Bob Allison now for a free consultation by calling 978-740-9433 or filling out our free consultation form. We look forward to talking to you about your Massachusetts personal injury claim.